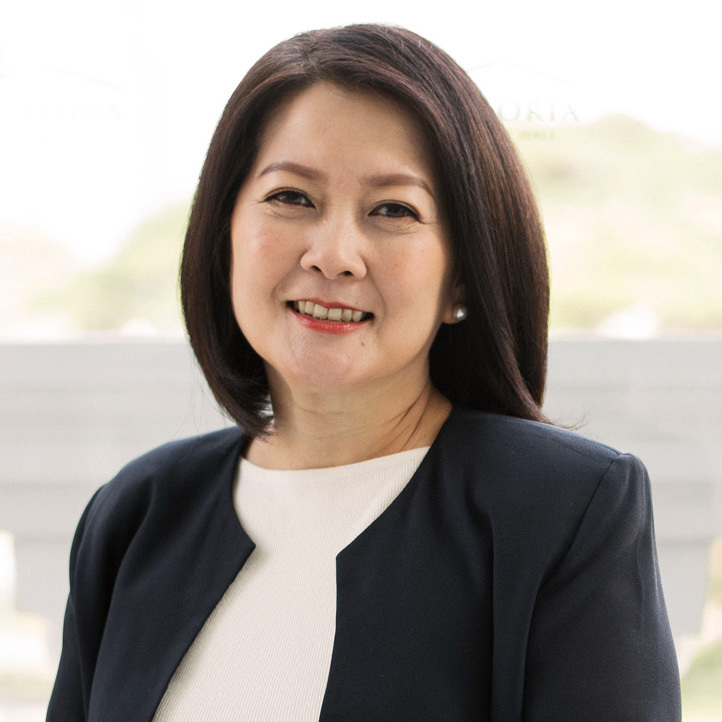 The success of the Singapore Symphony Children’s Choir is testament to choral director Mrs. Wong Lai Foon, who has since 2007 built an empire of youth choirs under the SSO banner, inspiring a new generation of choral singers to strive for musical and artistic excellence. The Children’s Choir performs regularly with the Singapore Symphony Orchestra and has collaborated with other world-class artists for sell-out performances. Wong is naturally in huge demand within her community for her conducting skills, and she is a joy to work with. Changing the world one student at a time – thank you Wong. Thank you Emily for the nomination. There are thousands of incredible educators out and there and I invite you to submit your nominations. Who you nominate is your choice – it could be anyone from your kindergarten teacher to your college professors. Please fill out the form below in full. Use the contact details you submit to contact you about Teacher of the Week or related projects. Post your submitted information publicly on ericwhitacre.com and the related socials. You acknowledge that other parties may share this information once published publicly. Please note nominations can take 24-48 hours to be moderated and posted on this page. We reserve the right to delete any content that is deemed to be offensive or inappropriate. Nominations posted at http://ericwhitacre.com/totw are submitted by members of the public. If you would like to report inappropriate content, please email [email protected] Eric Whitacre and his representatives cannot confirm the authenticity of the nominations or the content supplied. Austin Vallies is my high school choir director and is nothing less of a perfect director. He has a true passion and love for bringing voices together and creating something magical and brilliant. He has mutual respect with his students and puts his soul into his educational and musical duty. He insipires and motivates us and keeps the fun in choir while maintaining a high standard for musical excellence. We recently performed at Carnegie Hall and won a gold rating. All of that was because of Mr Vallies and he makes us so proud to be his students. He motivated me to write my first choral composition, which was an inspirational, life changing experience. Mr. Baker is the Pattonville Heights Middle School choir teacher. He changed our entire choir around because of his amazing teaching abilities, and teaching us to sightread. Our choir went from an absolute dead end to one of the top choirs in the St. Louis area. His patience and hard work with us payed off when we got our first 1 rating at festival. The middle school choirs now sight read at levels higher than most high school choirs. He is a remarkable teacher that personally gave me a reason to pursue music in my life. Nominated by: Julia. He made a huge impact on my life when I went to Pattonville Heights Middle School from 6-8 grade. I came to school in the middle of my 6 grade year and he welcomed me in and introduced me to the choir program. I have now been in choir since then and I absolutely love it. He taught me so much and helped me get through my tough times. He was always there for me and the other students and always cared for us dearly. He will always be my favorite teacher because of how much of a bond he makes with his students. Please choose him, he’s truly deserved teacher of the week. Nominated by: Brooke. Because of Mr. Baker, I now enjoy choir and music in general so much more than I thought I ever would. He inspires me to continue music throughout my life and hopefully one day have it as a job and a passion. He cares so much about his kids and is a wonderful person in general. Nominated by: Taylor. Mr. Baker has changed the way I look at music and has impacted my life greatly. My voice and my understanding of music has improved immensely since having Mr. Baker as a teacher. I am more confident about my voice and myself in general because he has taught us to not hide ourselves and to show the world who we are. Nominated by: Lily. What makes someone a good teacher? To a student like me, it’s someone who puts the time into the job, cares about their students, pushes themselves to bring out the best in a kid, and is always there when someone needs help. All of those things describe Mrs. Lamb. Whenever we get a new piece of music, Mrs. Lamb sits the class down and takes the time to really describe to us what the piece is about and it’s deeper meanings. Not to mention before every concert or contest she tells us,” It does not matter to me what score we get out there. What matters is that we have the ability to make good music and change somebody’s day for the better. We never know what other people have been through, but we can sing not only to their ears, but to their soul.” It’s words like that that really show to students that there is more to singing then making noise. Mrs. Lamb not only teaches us to be better singers, but more importantly teaches us to be better people. Axel has been an influential teacher for me since I met him as a part of the National Catholic Youth Choir. The level of care Axel shows for the music and all of his students is inspiring and convinced me to go to college to pursue my passion of music and choir. Axel continued to be a guiding figure in my life as I attended CSB/SJU to pursue my music degree, directing chamber choir and teaching conducting methods. He was always willing to go the extra mile to ensure we had the skills and confidence we needed to be successful in our careers. Now that I am a teacher myself, he continues to be generous with his teaching and guidance. He has come to my school twice to work with my choirs and offer feedback on my work with them. I will forever be thankful of his gifts he has given and his impact on my work and my life. Donna is not my teacher, but rather my wife, and a very special educator. When we met, in our 30’s, we were working in the restaurant business. We sent each other to school and now we are both high school teachers in Laramie, Wyoming. Donna is a very special choir teacher. She is excellent at what she does. She gets her kids hooked on choral music, teaches them how to sing (correctly), and brings out the best in them. 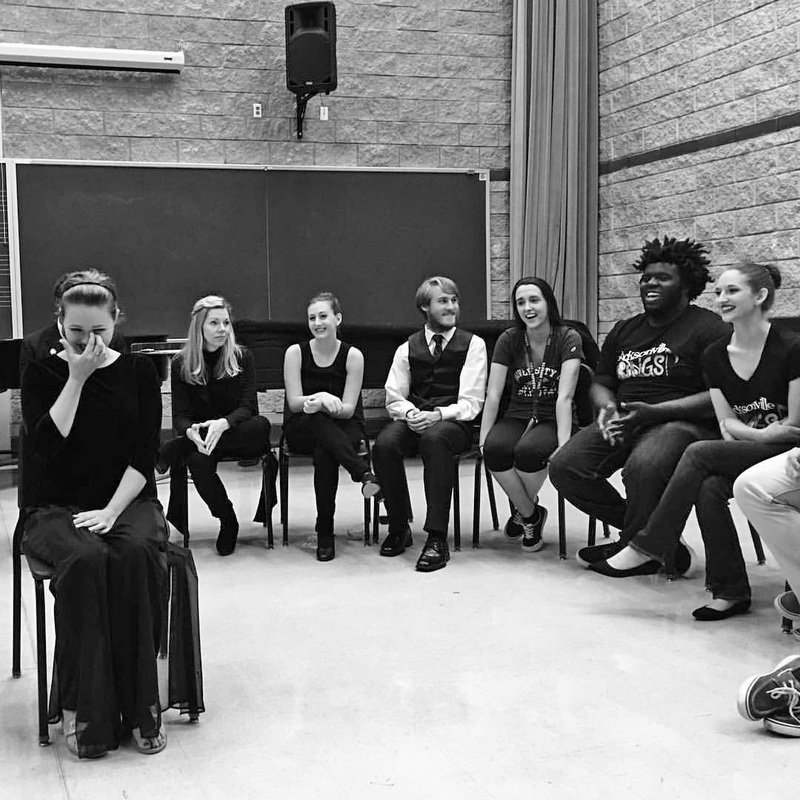 She develops a lifelong passion for singing in the young adults she works with by building meaningful, sustainable realtionships that last long after they leave her classroom. Because of these things, she is a really good teacher. What makes her stand out as a truly remarkable teacher is the inclusion, equity and accessibility that she creates in her classroom community. Her choirs are open to anyone who loves to sing, including students with disabilities, and she has provided countless opportunities for students of all abilities to make music together. Whenever any Edwardsville High School choir student is asked, “Who is the adult you look up to most?,” the unfailing response is, “Ms. O!” Often with tears, students reflect on how Emily Ottwein inspires them on a daily basis with her great love of music and her greater love of working with her students. Not only does Ms. O provide outstanding musical instruction, she makes time outside of school to support students in extra-curricular endeavors, entertains them from time-to-time by sharing her beautiful voice & performing duets with her father (lovingly referred to as “Pappy” by her students), and nurtures a musical family community of collaboration and inclusion. Ms. O’s classroom is the first stop (after checking in at the school office, of course!) for any students returning home from college and for any student with exciting news to share. Ms. O brings out the best in her students and inspires them to bring out the best in each other. Nominated by: Stacey. When I first met Ms. Ottwein, we grew an instant bond, and we made beautiful music. She would know when I didn’t feel my best, and she talked with me, and treated everyone as her “chickens” and she’s the momma hen. and I’m so grateful for her, simply because she surpassed the role of teacher, into a motherly role towards her choir students, so anything we need, she’ll try to help as best as she can. Her passion to music adds on to it all! She deserves this award! !❤️ Nominated by: Dylan. I was in many different choirs since second grade, however, I would say that High School Choir at EHS was the best. Ms. Ottwein taught us about proper singing technique and helpful music theory. If it wasn’t for her, I would be unable to properly read sheet music. She is like my second mother to me. I officially met Ms. O when I was only a Sophomore at Edwardsville High School, and she was my favorite teacher since. Now as a Junior, the bond that I have with Ms. Ottwein strengthened, and I trust in her. She makes singing in an ensemble all worthwhile. She picks out the best music for us to perform, especially Mr. Whitacre’s pieces, “As is the Sea Marvelous”, “Maggie and Milly and Molly and May”, “The Moon is Hiding in her Hair”, and “Cloudburst”, in which I had a lovely soprano solo. Next year, I as a Senior, I will be joining Concert Choir II and Chamber Singers. I could never be more grateful for this outstanding woman. She has done so much for us, and for me, too. Nominated by: Kaye. 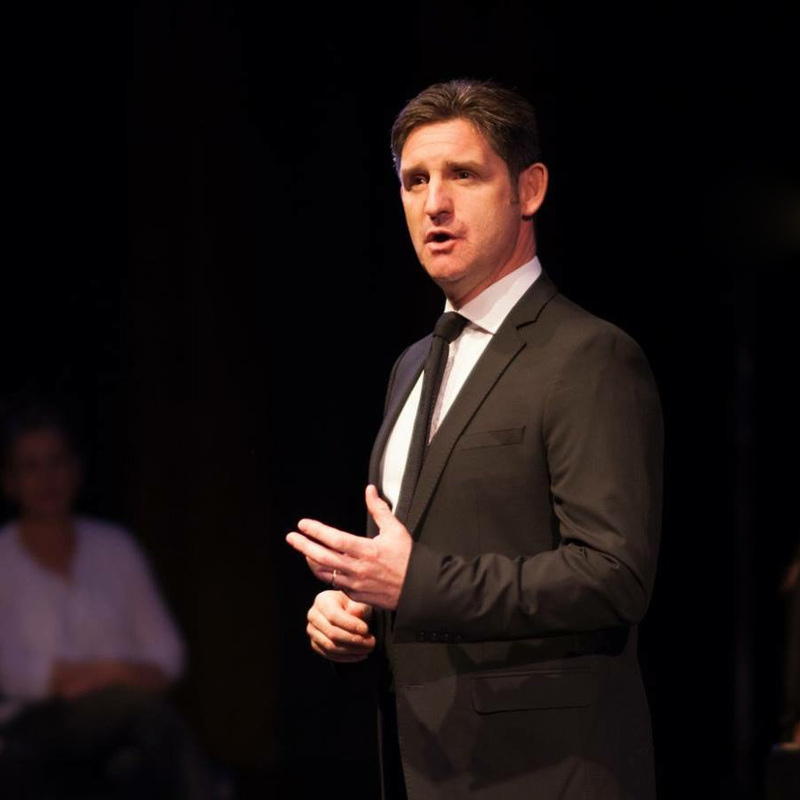 Phoenix Chorale Artistic Director Finalist Christopher Gabbitas is an absolutely wonderful singer, teacher, conductor. He sang for 15 years in The King’s Singers as baritone 2. Choral music is something he’s been devoted to for decades. I nominate him because he deserves it. I’m a 14 year girl and I’m in Claudio Silvestri’s choir, the Decima Quinta choir. I’m nominating him because I think that he is one of the most incredible people in the world and he is the most wonderful choir director. He thinks a lot about the choir, he has a lot of great ideas and he is very prepared about music, how our voice works and about some sing methods. He prepared the choir on some very famous songs, such as Hallelujah by Handel or Baba Yetu. I’m sure that he is the best choir director and he can win this contest. Nominated by: Francesca. My name is Gabriella and we name Claudio Silvestri, director of my choir Decima Quinta di Roma. Claudio is a very well prepared musician who is able to teach us all the meaning of music and collective choral singing. He is always attentive to the needs of each of his students, creating the most favorable conditions to achieve a high standard with wisdom, joy and fun. I think it is important today to have young music teachers who allow new generations to believe in dreams and music. Nominated by: Gabriella. Claudio is the director of my church choir at San Gaspare del Bufalo, in Rome, Italy. The choir’s name is “Decima Quinta”. The choir is operating since a couple of years so that our repertoire is not very big yet, but we already obtained incredible results, for example we won a contest last year for church choirs, winning over dozens of participants. Claudio is a terrific teacher, very positive, very energetic: he is a music professional but he has an almost infinite patience with us, who are mostly amateurs, and always find a way to take the best from us, and to teach us doing also very difficult pieces. To give an idea, we performed a piece by the German composer Johannes Michel, “Jubilate”, put it on the internet, and the author himself stepped on it, he was very impressed and congratulated us. He sent to Claudio a lot of his music for free, and last summer came in Rome and wanted to meet us! We are very proud of our director! Nominated by: Igino. He is a competent teacher and transmits his passion to the group. Nominated by: Patrizia. I’m one of the Decima Quinta choir’s component, and I think that this choir’s director, Claudio, has a big heart for the music and for the choir. He prepared us to sing with a nice method of studying and with him, we had the opportunity to sing a lot of beautiful songs. I think that he have to win this contest. Nominated by: Noemi. Claudio is a great music teacher and choir director. You always may really see and feel his passion and love for music. And he’s always able to make you share that passion and love when he teaches or directs you… What I like most about him is his putting all himself in every music performance. He already made miracles within our choir and among his pupils, and I am sure many other miracles are to come in the future! Nominated by: Vincenzo. He is my choir master. He is the teacher who has done for his great professionalism and musical competence and as a teacher. What you like best is the great passion and tenacity and insecurity. It involves us with sympathy and overwhelms us with pleasure in the pleasure of the songs to learn. He manages to overcome our limits every time and brings us and miracle to perform with very demanding. Nominated by: Anna Maria. Claudio Silvestri, choir director of decimaquinta, is a person who manages to bring out the best from each chorister putting him at ease and giving confidence to those who believe they can not sing. In two years of choir he was able to put together a high level staff with passion and humility. Thank you so much. Nominated by: Fabiola. The maestro Claudio Silvestri directs the Coro DecimaQuinta in a masterly way involving the choristers and motivating them to express the best from each of them. Nominated by: Ilaria. Claudio Silvestri is a fantastic director of the Coro DecimaQuinta. Hearing the concerts directed by him is a great pleasure. The most exciting thing is his way of interpreting music by making the audience thrill. Nominated by: Raffaele. Faccio parte del suo coro Decima Quinta. Lo trovo straordinariamente paziente e preparato le lezioni con lui sono sempre vive e interessanti. Nominated by: Emma. Claudio Silvestri is a good choir director. He makes you love music and is a good teacher. Nominated by: Priscilla. Hello, I am writing from Italy, (Rome) even if I am not Italian, I sing in two Italian choirs. I would like to introduce you to the director of my choir Claudio Silvestri, Director of the Choir DecimaQuinta! I saw him grow up, perfect himself with the music that explodes inside him. Although he could make a musical career with his voice, he chose to lead a group of people with or without musical experience and form a chorus, and not just a chorus. As a veritable perfectionist teaches us to listen, hear and give voice to musical notes . We won an unpublished song contest after only a year, and we are determined to make it proud of us. An example to follow! Thank you. Nominated by: Ene R. Rosetta. He is the director of the DecimaQuinta Choir in Rome. He is a young and keen musician, gifted piano player. He has an amazing voice and pure love for music which he shares with us. Singing under his direction is a pleasure and an honor. His heart is our metronome! Nominated by: Debora. I joined the choir “Decima Quinta” in Rome, Italy, a month ago. I have sung in many choirs over the years, but this is really different in that the choir master Claudio Silvestri has a special kind of enthusiasm, professionalism, and his musical skills are of a very high level. His choice of repertoire is wide, but each piece is thoughtfully selected and the choir has a great time!! Everyone in the choir is glad to sing. Nominated by: Alessandra. Claudio is a very well-trained teacher from Rome. Equipped with a warm and melodious voice, he consciously chose to dedicate himself to teaching music to those in difficulty, struggling with the deaf and deaf. 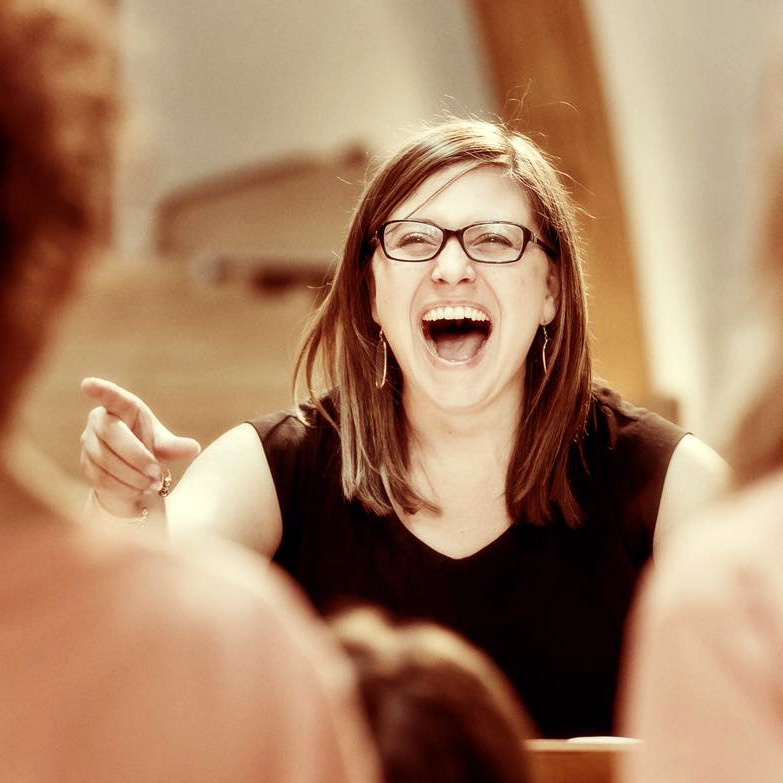 She is a young teacher who passionately directs more than forty adult people who have started singing in chorus with him in the great Cima DecimaQuinta in Rome. I wish him a great career. Nominated by: Mauro. M° Claudio Silvestri is an organist of the Church of San Gaspare del Bufalo of Rome. In addition to teaching singing, he masterfully directs a choir and leads new organists like me in the accompaniment of Eucharistic celebrations. Consider music as a gift to each of his students who leads with wisdom and respect. I hope his career is full of joy like the one we experience when we are guided by him. Nominated by: Claudio. 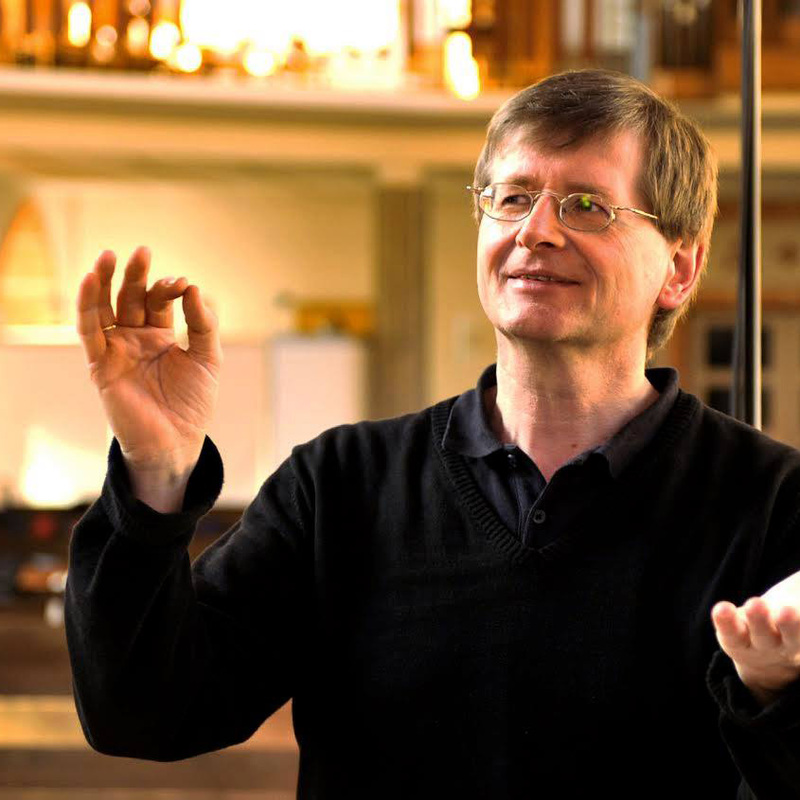 Claudio Silvestri, director of the DecimaQuinta choir in Rome, is a teacher full of enthusiasm and passion for his work. He is always available and patient with his students and manages to bring out the potential of everyone. Nominated by: Annamaria. My name is Elisa Forte, I am a DEAF singer, and I would like to name my singing teacher Claudio Silvestri. Singing is my passion … I received so much waste from different teachers. Claudio Silvestri is the only one who wanted to give me this chance. It was very correct and humble telling me that if I had realized that he could not give me what I was looking for I had to tell him and stop. And instead he immediately identified the right work to do, so much so that there were some remarkable results and I discovered with pleasure that I am able to sing! I once sang live, getting a standing ovation, and in May we will do another concert. Claudio gave me great strength, he always supported and encouraged me. I like him the fact that he does not mount his head, but he always stays grounded and knows how to identify right away the right way to go, the opportunities to catch on the fly and those that are better to discard. He changed my life! He loves his job a lot and puts his heart. Nominated by: Elisa. Claudio Silvestri is an excellent singing teacher, he is the director of the Cima DecimaQuinta and he does this job with a lot of passion and a lot of love. He manages to make us have fun all together and create beautiful jobs. I joined his choir for about a year and I do not want to stop! We often do concerts and we won the singing contest “Cantate Inni with art” for the Diocese of Rome. He loves all his choristers and manages to exalt the qualities of each of us. He is a golden boy and despite his young age he already has a lot of experience, as well as a lot of empathy, humility and sympathy. He loves his job a lot and puts his heart. It deserves to be recognized all over the world. Nominated by: Antonio. Claudio Silvestri is a young and talented director, dedicated to the commitment and study he constantly dedicates to his choir. In a short time he made the group a force, paying attention to the needs and interests of each chorister. He believes that the choir is a single body that grows together thanks to mutual knowledge, continuous communication, shared passion and the pleasure of being together. Each test is a lesson, but also an opportunity for meeting and exchange. It’s a pleasure to be part of his group. Nominated by: Emanuele. Claudio Silvestri is a very good musician with a great passion: choral singing. It is a passion that he cultivates since he was a child, which over time has become ever greater and more important, which today led him to direct a choir of his own. He takes care of every detail, every note is every breath. The choice of the pieces is accurate and always contextualized to the events in which one participates, but above all to what the choir lives in that moment. Being a member of his choir is like being part of a big family made of music and passion. I hope it never ceases to carry on its activity and that it becomes ever larger and more stable. Nominated by: Cristina. I know Claudio Silvestri from how much he is a child and I followed him in all his musical passages. When he founded the DecimaQuinta choir in Rome (Italy) he asked me to participate because he heard me sing in Sunday Mass. I had never sung and Claudio gave me a reason to believe that I can also make a musical contribution to his chorus that for him is like a child. I want Claudio to have a special legacy as I have seen him grow up and I think he has the right cards to give the new generation of boys and students the grit and the right approach to the profession of life. The choir rehearsals are also a moment of mental relaxation for all of us in this life that is always running. A beautiful moment that we give ourselves. I wish him a musical life full of his enthusiasm. Nominated by: Marina. I am nominating Claudio because it is a river full of ideas to spread the Music everywhere, without limits of age, gender or capacity. It never stops renewing itself and finding new ways to bring out the best out of people. As a good teacher he doesn’t stop being a student and grow together with his choristers and collaborators, in a continuous constructive dialogue. I have had several choir masters, but no one has ever been like Claudio. Nominated by: Alma. Claudio è un giovane musicista e maestro del nostro coro decima quinta. È una persona preparata che mette entusiasmo e passione in tutto ciò che fa, coinvolge noi coristi in una maniera incredibile riuscendo a tirar fuori il meglio da ognuno di noi. Nomino Claudio perché merita veramente. Nominated by: Maria. Hello, my mention is for Claudio Silvestri chorus master of which I belong: “Decimaquinta”; because he deserves to be known overseas for his skill, perseverance in carrying out a project and patience in teaching to those who have difficulties but above all for the love he puts for music, infects anyone close to him! Nominated by: Ivano. My name is Viola and my appointment is Maestro Claudio Silvestri as a teacher of piano, song and choral music. Claudio is a very experienced teacher who is able to convey his love for music at 360 degrees. With him, students can give their best. He always believes in the possibilities of each one of us. For him music must belong to everyone and nobody can be removed from it. He comes to teach for 8 hours in a row, always with the same energy and the desire to build and make his students shine. I’m happy to have met him on my trip. Nominated by: Viola. I am Antonella and I am part of the Decima Quinta choir of Rome conducted by Claudio who besides being an exceptional choir director is a great musician and a very good teacher. Claudio manages to convey his passion for music, bringing everyone closer to music in a fun and at the same time constructive way. I think he really is the best teacher and choir director in the world! Nominated by: Antonella. My nomination is Claudio Silvestri who was my first piano teacher. It allowed me to study music in a fun and concrete way, making me immediately put into practice what I learned playing in church in religious celebrations. Now I started studying the organ thanks to him who believed in me, sending me his enthusiasm. He currently teaches many new little students that I hope one day can give others what they have learned from him. He is very prepared both as a teacher and as a musician. He relieved me after a moment of musical unease in which I wanted to abandon everything. He is a great teacher. Nominated by: Maria. Claudio Silvestri is the director of the DecimaQuinta choir in Rome. Although I have known him for a short time, I have already seen the person who is. Besides being a helpful, sensitive and patient person, he has a deep passion for music. He is a person who motivates and encourages his choristers by always seeing the positive side of everything. He is a fantastic director! Nominated by: Chiara. Clausio Silvestri is the best choir director. He is professional and friendly. He makes every meeting a wonderful experience because he gives us good advice, good music and lots of fun !! Corodecimaquinta with him achieves excellent results! He starts a family not a simple choir!! Nominated by: Miriam. Claudio is a very talented guy. He puts a lot of effort into what he does, with his choir he has done and continues to do beautiful things, he is also an excellent piano teacher. He will become a great director ;-) Nominated by: Fabio. I’m nominating Claudio Silvestri, the young director of DecimaQuinta Choir in Rome (Italy). Hearing his melodious voice and watching his way to teach is a very interesting experience. In every movement you can feel his passion for music and his talent in transfer this to his singers. ” Everyone is able to sing, there aren’t out of tune people”….this is his slogan! Claudio has the Music inside, and he also is a very humble boy, full of energy and new idea for the Choir. He has to win the contest, ’cause he is the best musician i have ever heard! Nominated by: MariaStella. Claudio is a good friend of mine for…10 years. As a session guitarist I’ve always trained my chops and I’ve joined his choir as a relaxing joke, as a jam session with a friend. I was wrong. I think i learn much more theory in 7 months with him, than in 3 years of guitar. For me a musician is a student. For all his life. Claudio remind me that, and for that reason, is an hell of teacher. Nominated by: Daniele. I recently got to know the maestro Claudio Silvestri of the choir DecimaQuinta of Rome, attending him I was able to recognize in him great qualities of involvement and preparation of the choir. Nominated by: Emma. 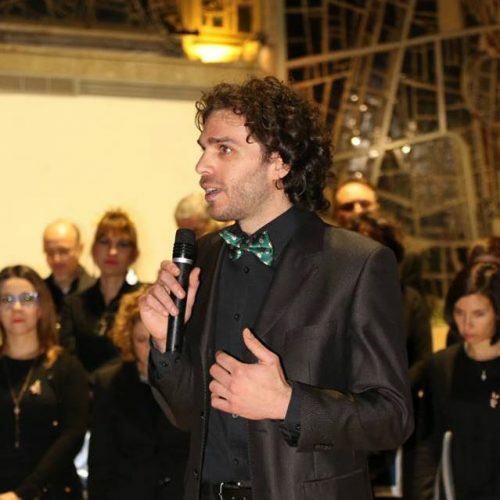 Claudio Silvestri, director of the DecimaQuinta choir, besides being extremely professional and competent, manages to motivate all the choir members, bringing out the potential of each one. The teacher, moreover, shows an extraordinary ability to understand and listen to individual singers, managing to amalgamate them in the group’s community. Nominated by: Piero. Claudio Silvestri is a very good director. Nominated by: Mariano. I study piano with Claudio Silvestri. Thanks to him I learned to play a beautiful instrument. He made me love music because he is very good and a very good teacher. Nominated by: Daniele. Claudio Silvestri is an excellent teacher. He initiated me to love music and sing. He is competent, calm and know the best way to guide step by step a new candidate in the world of singing. I made incredible progresses under is guide and I am grateful with him. Nominated by: Maurizio. Claudio Silvestri is the director of the choir in which I have been singing for several months. It is the teacher that everyone would like, endowed with a profound human sensitivity and a vast musical knowledge, a serious person, who manages to reconcile the needs of all, sometimes severe, but of an unequivocal formative, which has made membership to this one choir for me and for the other choristers, a real growth path. Nominated by: Ilaria. It is only recently that I am part of the decimaquinta choir of Claudio Silvestri and I have already been able to appreciate the enthusiasm with which it guides us in the art of singing. He managed with great patience to make me take out notes that I did not know I had. I am truly honored to sing in the Claudio’s choir and I hope to stay with them for a long time. Nominated by: Mario. I never thought Mrs. Purdy would become such big part of my life. She is the choir teacher at North Platte High in Nebraska. Singing has always been a part of my life, and I always planned on being in choir. But the way Mrs. Purdy has pushed us to learn and grow is insane. She also directs our school musicals, which are usually pretty awesome. This year, we are doing a production of Newsies and she selected me to be the choreographer. I was pretty nervous since that’s a pretty big responsibility for a 17 year old, but she encouraged me and helped me push my limits, and I’m so thankful for that. Without this experience, I wouldn’t be where I am today. Mrs. Purdy has really helped me find myself this year, and I know she would love to receive this honor. I know I can come to her when I need something. Plus, she loves you!! We even did a whole concert last year and every single piece of music we sang was yours. I really hope you’ll consider her as an honoree, because she deserves it. Nominated by: Ciera. Leah Purdy walked into our music program almost 15 years ago and turned it right side up again. She has worked hard to create a strong culture of hard work and artistic appreciation. She has upped the standards for our concert and jazz choirs, often encouraging them to sing difficult music and push them to practice outside of class to better themselves. She has added a dual credit music appreciation class and has drawn in “non-musical” students to her class simply through her teaching methods and passion for the content. 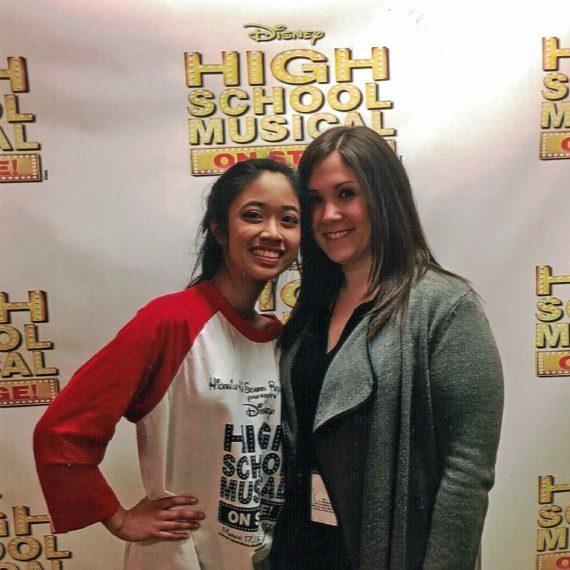 Through her work with the musicals, students are exposed to professional practices and a high caliber of production values. She works hard to make sure that her students are prepared for honor choirs, master classes, camps, and other competitions. Mrs. Purdy works hard to keep up on the current choral and musical theatre trends and is always looking for new, innovative pieces to present. Her heart for music and for her students make her a strong candidate! Nominated by: Brittany. Mrs. Purdy is my choir director. She’s so dedicated to her work and making sure that we can create the best sounds possible. She’s never “satisfied” with what we produce until it’s over because she knows what we have in us and how far we can push ourselves. I’ve never had a teacher quite like her, and I feel that she deserves this honor. Nominated by: Annie. She cares for every one of her students and works so hard to make us better. She finds ways to make us sound better and we work while having fun. Nominated by: Tom. Mrs. Purdy is there for every single one of her students. She helps all of her students strive for greatness. She is always willing to lend a helping hand. She is so motivated and does an amazing job with every performance she arranges. I am very thankful to have her as a teacher and I know she will always be there for me whenever I need it. Nominated by: Emily. Adam Orban or “Master Orbiwan” as we called him (if you’re a Star Wars fan you’ll get it,) was my high school choir teacher and has been one of the most influential people in my life and countless others. 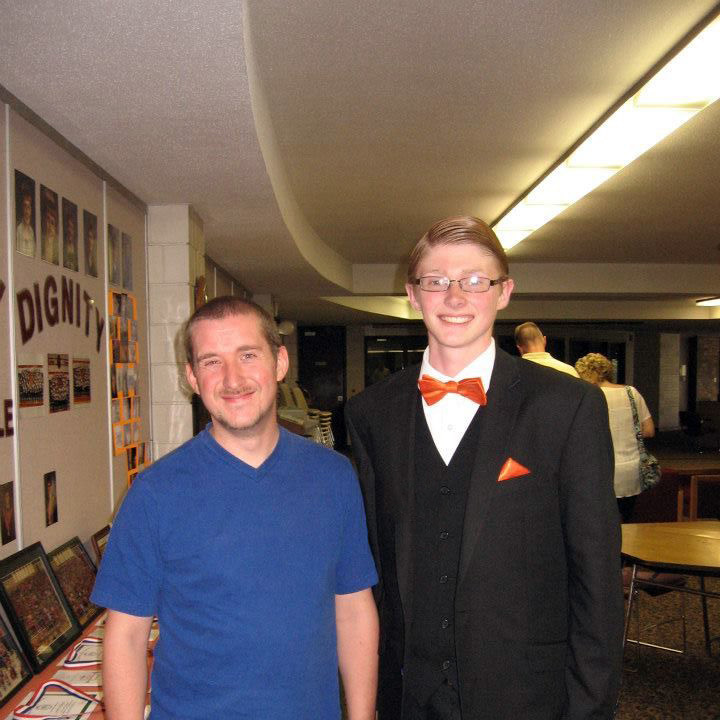 He taugh me in chorus and music theory from 7th Grade through high school. I owe him an incredible gratitude for being one of the people to understand me for who I was and who broke my shell wide open and forced me to do things out of my comfort zone. He saw an awkward, shy 7th grader who wouldn’t speak up in class even if called on, and saw potential in him. His passion for choral music was also contagious. In his time in Sheldon, IA, he took our small choral program to unimaginable heights. At the height of the program the jazz and show choirs got constant 1st places and the concert choir was getting straight perfect scores at state contest. I am proud to say I am now a choral director myself and get to call him a colleague and a friend. He truly changed my life. I am nominating my HS Choir Teacher because without her I would not be where I am today. She has given me a new meaning to the word ‘Music’ and ‘Singing’ and I cannot thank her enough. I know she deserves this award because she is hard working,dedicated and goes above and beyond for her students. She is an outstanding teacher. Without her, I wouldn’t be where I am with singing and my appreciation of music that I am today. Thank You, Miss Church, Thank You. Nominated by: Kaity. Hannah Church was my high school choir director for three years. Not only did she help me grow immensely as a musician, but also as a person. Without her, I wouldn’t know what I would be doing right now, but she helped guide me towards a career in music education, something I never would have seen myself doing. I see now that it is the perfect fit for me, and now my life goal is to inspire at least one student and to see the same burning passion for music as Miss Church did for me. Nominated by: Christian. Ms. Church is one of the most passionate teachers I have encountered. She wants every student to succeed and puts in the time and effort to help them do so. Ms. Church is always full of encouragements and jokes, which make learning from her even more enjoyable. She is the reason I continued to pursue my love of acting in musicals, despite my fear of singing solos. 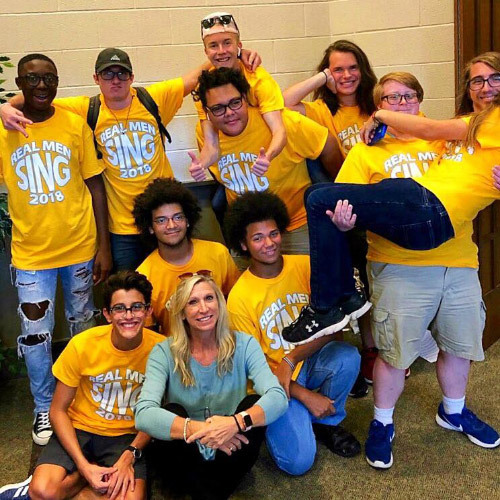 No matter who you ask, all of Ms. Church’s students will tell you how she has had a positive impact on their lives and can’t imagine doing chorus or the school musicals without her instruction. Nominated by: Paige. We are nominating Mrs. Danoff because she is more than a teacher, she is like a mom in school. She cares for her students as if they were her own. She believes in everyone of her students and pushes to their full potential. She’s an understanding and always knows what to say and what you need to hear and always gives her all to make sure we are the best we can be. She is so dedicated to music and her students and giving them all the opportunities available to better them musically. She makes choir a fun and safe environment for all her students. "everyday is audition" is her motto in the classroom and in life. We the music theory class of five people nominate our choir, piano, and theory director/teacher because of her qualities as a teacher and a person. Mr. Brown is one of the most incredible choir teachers I have ever had. He pours his whole being into the music we perform and has devoted his time to teaching high school students how to connect to each song. He recently lost his wife to terminal cancer but even through the pain he still tried to be there for his students. I personally believe that he’s one of the most influential people I’ve ever had come into my life. I am nominating Mrs. Smith from Licking Heights High School because she works so hard for all of her students to become successful. She helps us like no other teacher would and she is the best teacher I have ever had. She pushes us to be the best singers and people we can be. Mrs. Smith inspires all of us to be who we are and not to be afraid to sing out. Also she absolutely loves you and it would mean so much to her to get teacher of the week! 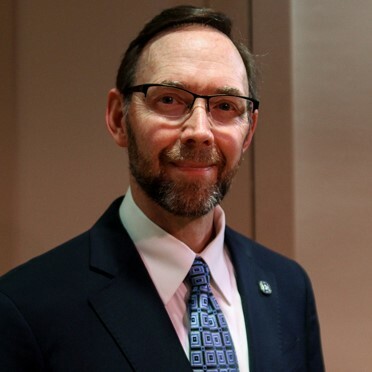 Dr. Bret Amundson is the Dean of the School of Arts and Letters at the College of Saint Scholastica in Duluth, MN, where he also conducts the Bella Voce women’s choir. I am nominating him because he is truly an amazing choral director and leader. He knows when and how to push people to be the greatest they can possibly be. Bret always knows exactly how to communicate and collaborate with his singers about what it is we are singing about. We’ve witnessed countless audiences come on emotional journeys with us as we explore the boundaries of happiness, praising, hope, fear, heartbreak, and everything in between. He is more than deserving of this acknowledgement. Nominated by: Noelle. Dr. Bret Amundson is as musically inclined as they get. 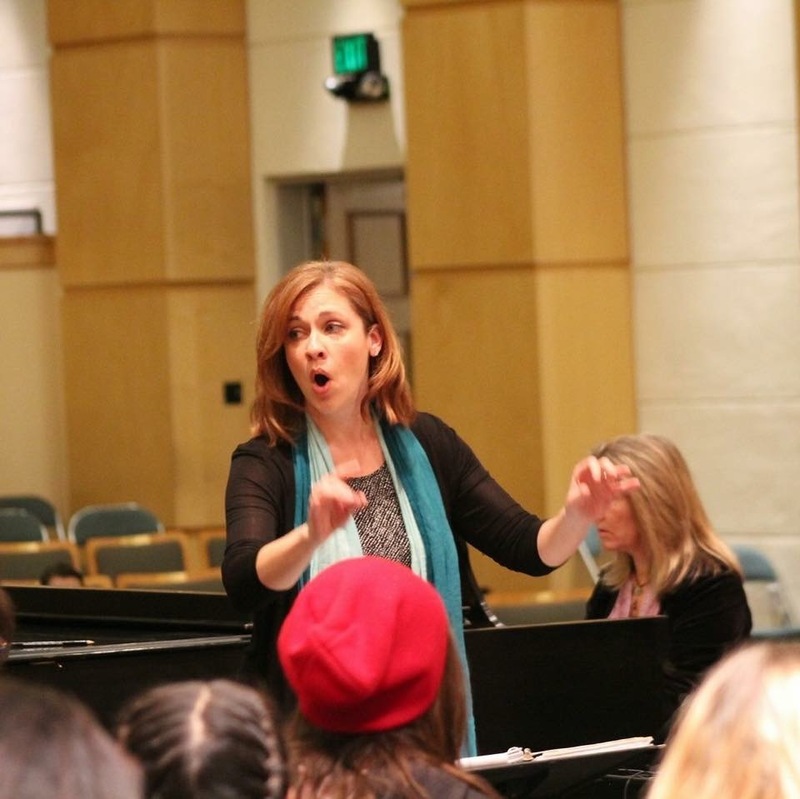 Not only the Dean of the School of Arts and Letters at the College of St. Scholastica, but also a director of an all-women 40 voice, auditioned, choir on campus. And if that is not enough, Dr. A directs two other local nonprofits—Lake Superior Youth Chorus and Twins Ports Choral Project. He pulls greatness from each and every student and member he works with as well as provides a basis for musical expression. With just a gesture of his hands and movement in his body, the choral sound is completely and drastically changed. Singing under him is one of the greatest joys I have experienced because he provides a platform where growth can and does occur. He is an inspiration to all and deserves to be recognized for all of his hard work! Nominated by: Hannah. 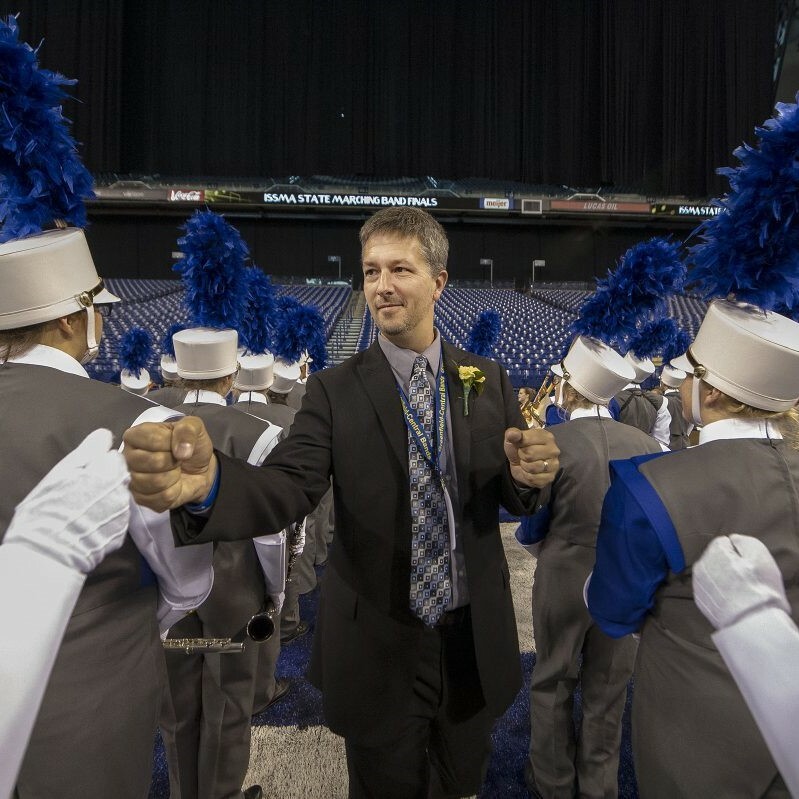 Dr. Amundson deserves this nomination because he gives everything at each and every rehearsal, striving for excellence and teaching us to do the same. Choir isn’t just a class for us; it’s a place to learn, grow, and express ourselves, and that’s largely due to Bret’s influence. He inspires us to become both better singers and better people, teaching us far more than notes and rhythms. Nominated by: Jessica. I am nominating Bret because he is not only a teacher, but he is also a mentor and friend. He makes all his students feel welcomed and creates a fun atmosphere. I am so honored to be able to have him as a professor. Nominated by: Rose. I am nominating Dr. Amundson not only for his musical abilities, but for his skill in pulling greatness out of each and every member of his ensembles. In my limited time as his student, I have seen him inspire confidence in people in seconds. The high standards he holds everybody to sets both the individual students and the group up for immense success. His dedication to telling a story through song has transformed the lives of endless singers. When students- of a wide range of ages- reflect on their time is Dr. Amundson’s choirs, his attention to detail and sky-surpassing expectations are just two of many highlights. Dr. Amundson does not simply invest in his singer’s voices and musical talents; he invests in their minds, hearts, and lives. Nominated by: Rylee. I am nominating Dr. Amundson because he inspires his singers with his musical abilities, willingness to be vulnerable, and dedication to students everyday. No one deserves this recognition as much as this man. Nominated by: Anonymous. Dr. Bret Amundson is someone I like to think as a diamond in a world of rhinestones, as Dolly Parton would say. I sometimes don’t understand why he stays in Duluth, Minnesota. He’s a part of my life that I’m grateful for every day. He’s pushed me to be a better musician since I was 11 years old, and not only that, but he’s made me a better person. He is a true visionary, and truly believes in his students more than they even believe in themselves. His high expectations and his talent continues to create world class choirs out of middle schoolers, high schoolers, and college students. He is truly the best teacher I’ve ever had, and will probably ever have. Nominated by: Sophia. I am nominating Dr. Amundson for this award because his greatness deserves to be recognized. He is not only an amazing choir director, but a remarkable overall person. I have had the opportunity to be a member of Bella Voce for four years and I have watched him transform many people, including myself. He knows how to push his choirs to levels we never saw possible. The music that we create in our choirs is due to very hard work from each member, but even harder work from Bret’s dedication, precision, creativity, expressiveness, and attention to detail. Not only does Bret allow us to be amazing musicians, but he gives us an environment in which we can be vulnerable and make mistakes. Time and time again he has allowed each of us, and countless audience members, to be transformed by the music and tell each story. I could not think of someone more deserving of this award. Nominated by: Grace. Dr. A is one of the most fantastic teachers I have ever had. He is inspiring, talented, and incredibly dedicated to helping his students succeed. His positive, get-it-done attitude motivates students to work as hard as they should, and the results are stunning. Beyond that, Dr. Amundson is a wonderful friend to his students. He truly cares about each and every one of them, and I genuinely believe that he always will. His energy and spirit are contagious in the best of ways, and I truly admire his work ethic. I feel as though working with him made me grow as not only a singer, but also as a person, and that is such a rare and important thing. Overall, he is a fantastic human being and a truly amazing teacher, and I believe that there would be no better fit for this award. Nominated by: Kierney. I am nominating Dr. Bret Amundson because of the incredible impact he has made on my life and countless other people. Not only are his music and teaching abilities outstanding, but he also continuously shows every singer how invested he is in the entire process. In addition to developing our musicianship, Dr. Amundson pushes us to think about how we can take lessons from rehearsal and apply them to everyday life. During every rehearsal he highlights the importance of hard work, dedication, mindfulness, and connecting to the story you are trying to tell. He encourages us to set high goals for ourselves and gives us the tools to reach them individually and as a choir. I am incredibly thankful for what he has done for me as a friend, mentor, director, and fellow music lover. Each day he is making a difference in the lives of many and inspires others to do the same. Nominated by: Madilyn. I am nominating Dr. Bret Amundson because he has changed the meaning of choir. In rehearsals, he emphasises the symbols and messages found within songs in a way that is truly transforming. These messages accentuate the emotions brought out in our performances, giving each song a unique and personalized experience. Dr. Amundson has incredible faith in his choirs, for he pushes us to do our best in hopes of teaching important messages to our audiences, and in hopes that we will use them to transform our own individual lives. Dr. Amundson has shown that choir isn’t only about vocal technique, it’s about changing the world. Nominated by: Elise. Dr. Amundson inspires me. Whether to be a better singer or a more authentic version of myself, Bret shows me how to go all in and expect greatness from myself and those around me. He teaches our choir to be intentional with our music, and that we have the potential to spread personally meaningful messages and beliefs through song. Bret has a way of using music to inspire and improve the lives of those around him, myself included. Thank you, Bret, for helping me grow. Nominated by: Liana. “You can do it.” These are four simple yet powerful words that Kathleen Allan stands by. As Vancouver Academy of Music’s Choral Director, Conducting teacher and Associate Orchestral Conductor, she has exemplified what it means to be a good leader, one who believes that every voice matters who never hesitates to offer words of encouragement and embodies what it means to be positive and supportive in a creative environment. Her enthusiasm, energy, passion for music and teaching, genuine care for each and every one of her students and truly warm personality is absolutely inspiring and has made a positive impact both in and out of classes and performances. As someone who’s been a student in her classes in the past year carrying onto the present, having her as a teacher, and now even moreso a dear mentor, has and continues to be a blessing and more. We are so grateful for who she is and all she does! Nominated by: Kylie. Kathleen is such a hard working teacher and composer. She loves and cares for all students and teachers, and has been a huge part of my singing life. Nominated by: Maryam. Kathleen is an incredibly talented and passionate music teacher whose energy is contagious among students of all ages and backgrounds. Her modern approach to teaching creates a focused yet friendly environment that enables the creative mind to bloom. Nominated by: Ivan. Kathleen is our outstanding conductor and conducting teacher at the Vancouver Academy of Music. She always comes to class full of energy and excited to teach and she cares about each and every one of her students! She also always finds time in her busy schedule to help us out individually and to just sit down with us and just give us advice! She also conducts the choirs and the orchestra at the academy. She has inspired many of her students to continue their education in conducting! Nominated by: Kamran. Kathleen is one of the most talented people I know. Her passion for music spreads through her students like wild fire! Ever since I first met her, she has been my idol. I hope to be like her one day. Nominated by: Isabella. I’ve known Kathleen for less than a year. In the little time that I’ve known her, she has truly rekindled a passion for music in me that has helped me in more ways than one. Her passion for music and heart for people is incredibly infectious and inspiring. The first time I watched Kathleen conduct/teach was for an open rehearsal I attended before joining her choir. After learning a simple song from her, I immediately thought, “This woman is doing exactly what she is meant to do”. I have no doubt that Kathleen Allan was lovingly created to uplift humanity through music. Nominated by: Brooke. Kathleen is a hard working teacher and composer who loves and cares for all students and teachers and has been a big part of my singing life. Nominated by: Maryam. 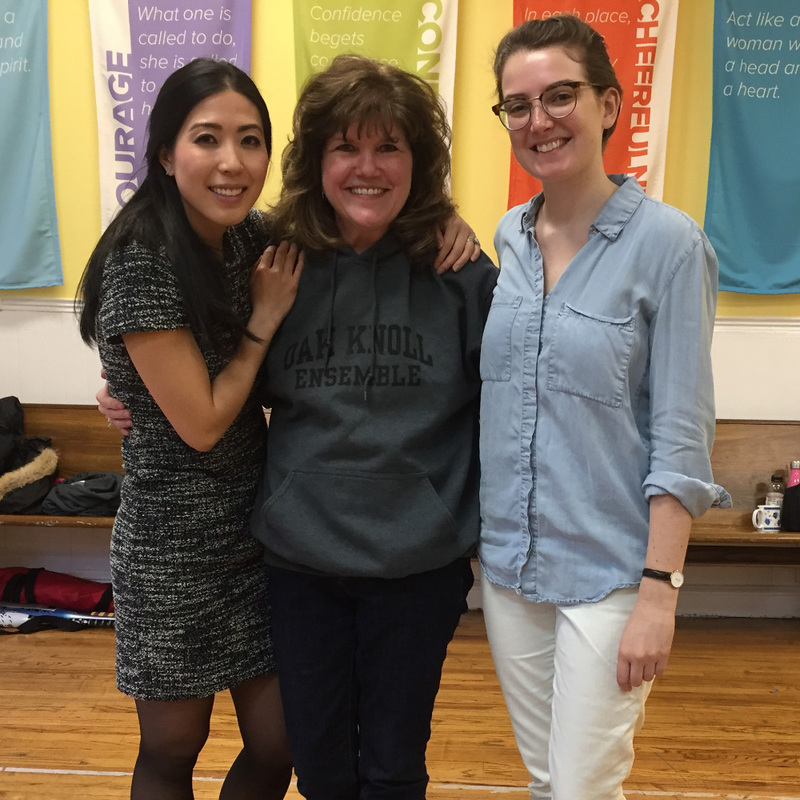 Kathleen is an absolute inspiration to work with and her enthusiasm and dedication to music, and her students and colleagues is contagious! On top of being extremely talented in her many endeavours, including singing, conducting and composing, her positive approach to these many musical activities makes her an incredible role model for everyone around her, especially young girls looking to pursue music. I feel very lucky to know her and for all of the lessons she taught me over the years with endless patience and support. Nominated by: Teresa. What an amazing pleasure it has been to be graced by Kathleen’s infectious enthusiasm and passion. She takes the progress of each individual student extremely seriously and is not only one of the most sincere teachers I know, but is also the most compassionate teacher I know. Her talent and drive is incredible and truly inspirational. She has inspired me to pursue my interests in conducting and composition further than I would ever have dreamed, instilling a belief in me that I can do anything if I work hard enough. I am so thankful for having her be a part of my life and I wish her the very best in her future endeavors as her extraordinary talent has been credited by her winning an awesome music directing job on the other side of Canada. I will miss her so much and I really hope I will be able to see her again. My wholehearted thanks to the amazing, the illustrious — Kathleen Allan! Nominated by: Jaya. I’ve never been good at writing beautiful words for someone. But I will try my best right here. Kathleen is an excellent musician and teacher. I am lucky enough to attend her conducting class. Her conducting class is really practical and fun. She is very patient and smart, always comes up with an interesting idea for us to approach the difficult part and solve the problem instead of just do things repeatedly and forcefully in a boring way. She has good a reputation in Vancouver as a conductor. She is the conductor and music director of many music groups such as Vancouver Bach Choir. She allowed us to observe the rehearsal. It was a very good learning experience. She also has the ability to find many instrumentalists for us to practice our conducting even though we were just beginners. Nominated by: Jericho. Kathleen is internationally recognized as a brilliant and multitalented singer, composer and choir director and composer. She is the director of the choirs for Vancouver Academy of Music, and as a teacher and teacher trainer myself I can attest that she is a wonderful teacher. She teaches the wee little primary school kids choir, the middle school kids choir, the choir for teenagers, the choir for adults and the choir for trained adults as well as being the assistant conductor for the VAM Symphony (which prepares learners for the Vancouver Symphony) She is very specific in her directive feedback while being kind and patient. Not a BIT of a diva; she radiates “niceness”. Nominated by: Joan. 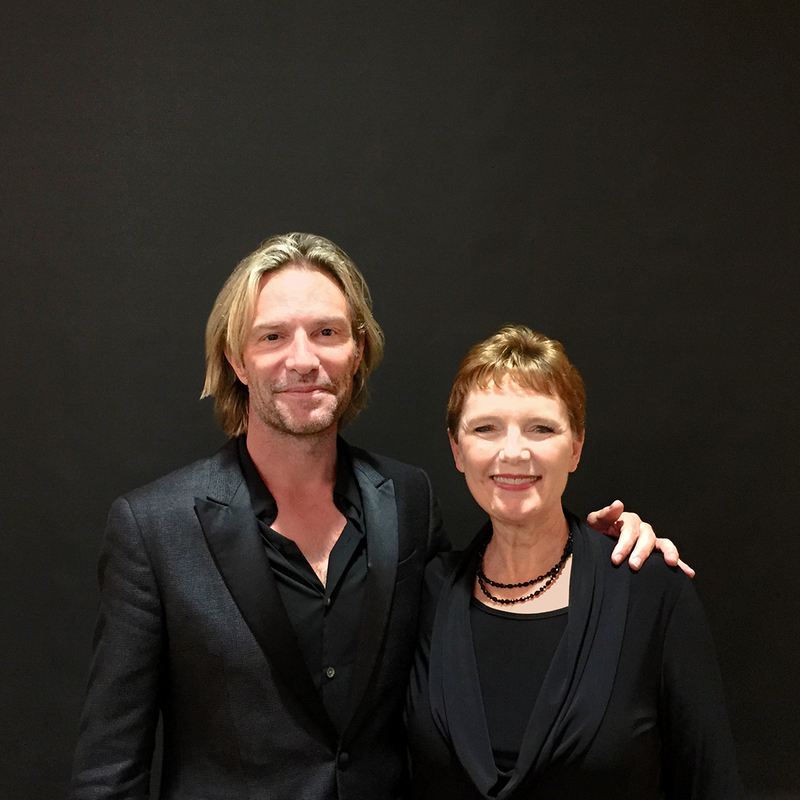 Director of Choral Studies and Associate Conductor of the Symphony Orchestra at the Vancouver Academy of Music – Kathleen Allan is a superb teacher who has made a significant impact on me as a student. She is an inspiring teacher able to motivate students to achieve their very best, Her creative and enthusiastic spirit makes learning (even the most difficult aspects) a pleasure for me and everyone she engages with. Nominated by: Elizabeth. I started a year ago on the choir adult program, knowing almost nothing about music reading and singing. After my audition and a year after, not only I can read (slow, but better than nothing) music, but my confidence is so big thanks for our amazing teacher. She’s not only an amazing professional but an amazing teacher and human. She’s always pushing us for getting better results, and she knows we can do it. I never imagine to start singing on my 40’s and in part is thanks to Kathleen, and she’s doing this job for a lot of students, starting with kids around 5 to adults from 18 to 99+. She has a super special talent for this. Nominated by: Max. Kathleen has been instrumental in developing and starting the choir programme at VAM (Vancouver Academy of Music), on top of being a conductor for the orchestra, a composer, teacher and all around insanely gifted individual and incredible human being. I don’t know how she does it, but she does! Her love of music and education is infectious and I cannot commend her enough for the dedication, professionalism but most importantly, joy she brings to each rehearsal and concert. As we know what looks effortless belies all the hours of hard work underneath. From young and old (kids to adult choirs and all! ), beginner to advanced, Kathleen has created a community where everyone feels welcome and is encouraged to be brave, take a chance, and just plain sing it out loud and strong (even if it’s wrong, what’s the worst that could happen?). Always with a smile on her face, a ready laugh and kind joke, she is an exemplar of what music education is all about. THANK YOU KATHLEEN! Nominated by: Kat. “Don’t forget to have fun”! says smiling Kathleen before every performance! I joined the choir 3 years ago when she launched the choral program in VAM. I have studied music theory my whole life, never understood it as clear as she taught us. Running 5 choirs of 7 to +80 years-old people, she loves and cares for every single one of us not only as music teacher but as mentor. 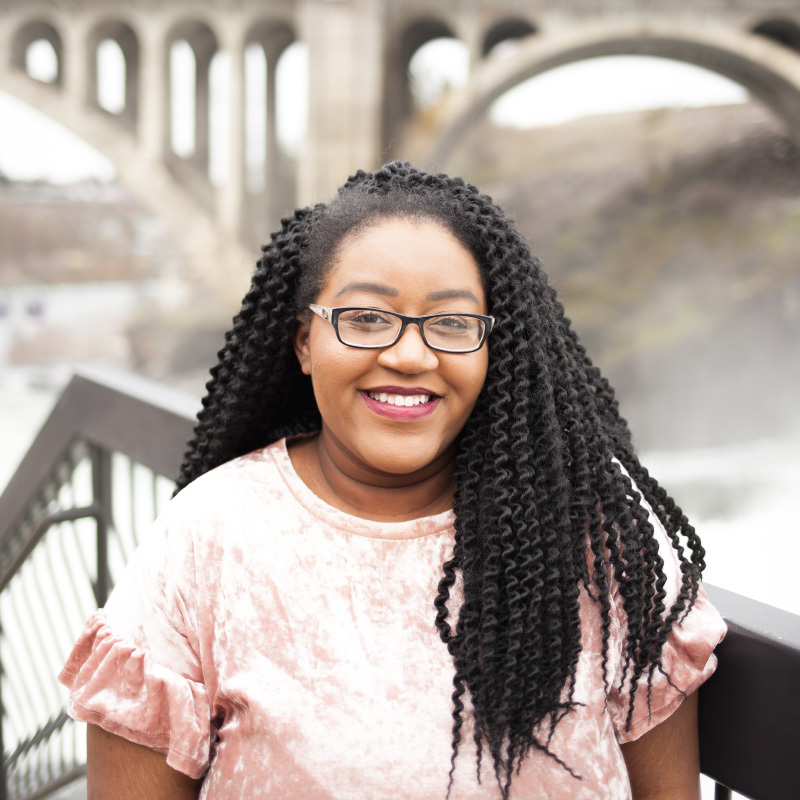 Not only young to seasoned singers enjoy her choral studies, but also the community members who didn’t have a chance to study music before, can read music and sing confidently after a couple month. She is the shiny happy smart spirit, and has charisma to lead all these amateur to professional singers. She has a wonderful taste in choosing great range of music with different languages, rhythms and colors. We have grown and performed in the most prestigious halls in the city thanks to her. Dreams come true for many of us and we all have learned to sing & to “have fun” performing. Nominated by: Setareh. She is a director of choir in Vancouver Academy of Music, Canada. She is not only a great choir trainer but a conductor. Since she launched a choral program at Vancouver Academy of Music, choirs has been expanded. I joined her choir last September and am amazed how brilliant she teach us choral technique and gives us a joy of music. Nominated by: Kei. Kathleen is a truly remarkable teacher! She is a brilliant musician across the full spectrum of musical skills—singing, composing, conducting —the whole package—- and she is able to instil confidence in everyone she encounters by allowing them to find their own talents and give them their full expression. While she is meticulous and always upholds exacting musical standards, she is never unkind or insensitive to others’ insecurities — the very best kind of teacher! Nominated by: Gordon. Kathleen is a phenomenal teacher – inspiring, dedicated, and hilarious. She fosters a supportive musical community, gives her free time every week to offer ear training support, and makes every rehearsal fly. Nominated by: Florence. Kathleen is a natural leader and an educator. I sing under her baton and she is also my ear training teacher. Every week I see her interacting with musicians and music students of various levels, absolute beginners to established professionals and she has an incredible skill to go up or down to anyone’s level of musicianship and bring them up. She is so patient and full of energy that is quite contagious. Nominated by: Sri. She is a very talented young woman. Soloist, composer, conductor, and teacher extraordinaire! She has endless patience and enthusiasm for music and education. She is leaving for Toronto in the late spring. I know anyone in Vancouver that has met her, sung with or for her, or had the pleasure to be taught by her, will be mourning the loss of Kathleen’s presence for a long time to come. Nominated by: Nancy. 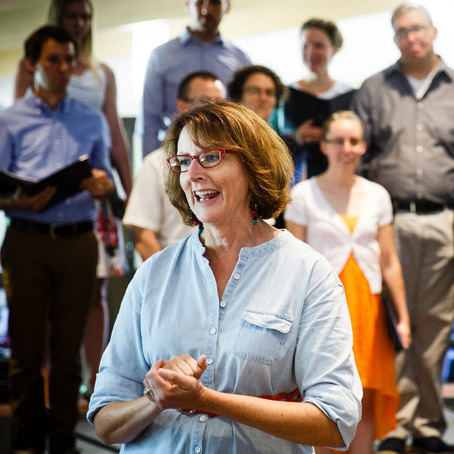 After 50 years of singing in choral groups, I believe that Kathleen is one of the most all-around effective teachers, conductors and individuals I’ve encountered. Her level of professionalism is unparalleled. She cares about and respects the individual. She embodies the joy of music! Nominated by: Gordon. Kathleen teaches at the Vancouver Academy of Music in Vancouver, Canada, where she conjured a thriving choral program (with 5 choirs!) out of thin air these recent years. She is gifted with the skill to teach music in all its facets to every age and every skill level equally well, and with gusto. Besides being a crazy talented singer, conductor, teacher, and composer; she is a choir-whisperer, and deserves to be recognized for it. Our days are brighter when they have Kathleen in it. Kathleen will be leaving us at the end of this term to take a well deserved step forward and we want to make sure to take this moment to thank her for sharing her talent with us so freely and joyously. We will miss her dearly but are sure she will reach amazing heights in her career. Nominated by: Selma. In addition to her enormous talent as a singer, composer, conductor and teacher, Kathleen Allan at the Vancouver Academy of Music has an amazing gift for meeting each individual, regardless of age, experience or talent, exactly where they are and gently, persistently drawing out of them musical wonders that they didn’t know they were capable of. Her insistence on our being the best that we can be is presented with a positive enthusiasm that makes it easy to strive just a little harder, to set the bar just a little higher. Kathleen exemplifies all that a great teacher and leader should be. Nominated by: Maureen. I have never witnessed someone being able to inspire the love for music and singing the way Kathleen does it. As the director of Vancouver Academy of Music’s choral program, she conducts almost half a dozen choirs of all sorts, from young children to adults, from intermediate to advanced, and everyone loves her. In only a few years, she has built this program from the ground and formed a community of singers that enjoy singing beautiful music together and constantly learn to cover more and more complex repertoires. She teaches and conducts with passion, yet also with a deep knowledge and appreciation of music; she brings out the best of everyone, and all of us, regardless of their level of music, everyone is has something to learn from her. Thank you Kathleen for all your energy, kindness, and positivity! Nominated by: Kasra. If there has ever been a teacher who managed to have a positive impact and make a difference, not only in my music education but in my life (and a great many others I imagine), it’s Kathleen. She not only believes in the power of making music with excellence, but believes in the power of making music TOGETHER. Not only does her passion and contagious joy in music and teaching shine through, but how incredibly genuine and compassionate a person she is to all those around her. With just how much she cares about all she works with, students of the Vancouver Academy of Music, community members, young and old, words of encouragement and empowerment are never far from her reach. All those who have gotten to know her and work with her know very well just how much of an inspiration she is. We all will miss her when she embarks on her new position as artistic director of the Amadeus Choir in Toronto, but we believe they’ll be blessed to work with one of the biggest hearts in the business. Nominated by: Anonymous. It’s hard to imagine that in addition to an active freelance composition and performance career, Kathleen runs SEVEN choirs (like, seven, mostly by herself), teaches numerous college courses, associate conducts a number of other ensembles, and maintains a robust private teaching studio. Her choirs range from 100% professional ensembles to adult community choirs to grade school age programs. It doesn’t matter…every one is of equal importance in her eyes when she is front of a choir or a class: Somehow she manages to make every chorister, every parent, and every colleague feel the importance, rather the necessity, of their role in making music. Nominated by: Timothy. Kathleen is an outstanding teacher who inspires anyone lucky enough to be able to work with her. She has an excellent rapport with young children and adults alike. Everyone adores her. She chooses challenging repertoire with crunchy harmonies and lots of moving parts. She is demanding but Kathleen’s expertise, encouragement and unfailing patience enables us to rise to the challenge all the way to the finish line. By the way, Kathleen who is a gifted musician, composer, conductor, soprano, Yale Graduate etc never talks about her own credentials. Says a lot about her personality. My sense is that Kathleen is one of those rare individuals who believes that when the tide rises everyone’s boat rises with it. Thank you Kathleen, Rising Star Teacher Extraordinaire! Nominated by: Adrienne. Kathleen’s skills as our choir director are astonishing. She passionately directs around thirty people and shows enthusiasm, professionalism and amazing musical skills. We are so happy to have her. Nominated by: Sina. Kathleen has to be one of the most dedicated persons that I have ever met. In just over three years she built 5 choirs, almost 100 people. Kathleen can transform even an average singer (like myself) into an important piece of a choir with her inspiring you-can-do-it attitude. She will be greatly missed and impossible to replace. Nominated by: Milan. I love Kathleen. She is musically gifted, a lovely human, and very passionate and organized. Kathleen is poised and pure class when it comes to conducting, and she leads with confidence and a smile. I am sad that she will be leaving Vancouver, but Toronto will be thrilled to have her. Nominated by: Emily. Kathleen has been our great choir director in the past 3 years. We’ve learnt so much from her in these past 3 years. She’s always managed to keep rehearsals interesting and has been a great role model. She is also an accomplished composer and singer. Watching her work so hard and succeed has inspired me to never give up on my dreams and is proof that with hard work anything is possible. Unfortunately Kathleen will no longer be our musical director anymore after this semester due to other opportunities, but the effect she has had on our musical life will always be remembered. I am proud to say that I have worked with someone as amazing, caring and accomplished as her! Nominated by: Anonymous. Kathleen is one of the greatest teacher which I’ve met in my life. Her personality and hardworking make her lessons really special and unique. Nominated by: Aslan. She is a really fabulous singer and conductor! Nominated by: Balakshan. She’s the only teacher I’ve seen that has been able to instil a passion for music in people that are on the verge of quitting. Over and over again I’ve seen her enhance the whole department’s love for music, including my own. She has not only taught me how to be a better musician, but also a better, more loving, and more accepting person. She truly has a huge impact on every single student, and every one of us leaves the school being better than the person we came as. Nominated by: Catherine. Mrs. Franzke is an excellent teacher who puts her students above everything else. She knows how to connect with students on a personal level and loves to devote her time to them. Her dedication to her ensembles and her Music Theory classes is excellent, and you can clearly see her passion for music in the way she conducts her ensembles and her discussions about music theory concepts. Nominated by: Jack. Mrs. Franzke is by far the best music teacher, the way she connects with her students is unlike any other teacher. She is always 100% honest but is also encouraging. Nominated by: Jamie. Mrs. Franzke pours endless amounts of passion and love into teaching music. Her honesty and enthusiasm is so motivating to all her students, and she makes all really look forward to coming to class everyday. She makes me so excited to become a music teacher, and is 10000000% deserving of this award. Nominated by: Katie. Franzke has taught me so much over my years with her and I couldn’t have asked for a better teacher. Not only does she teach her students about music, she teaches them about the real world. Nominated by: Luke. Mrs. Franzke is an inspiring band director who has impacted the lives of so many students at Commack High School in Commack, NY. As my band director and mentor, Mrs. Franzke was the first teacher who ever made me feel that my emotions, struggles and vulnerabilities belonged in the classroom. Her rehearsals were rigorous, and her high expectations of student musicians in her ensembles lifted everyone higher. Throughout my four years of high school, I was motivated to work hard and grew tremendously because I knew that Mrs. Franzke truly believed in me. The emotional, powerful and rewarding performances I was a part of under Mrs. Franzke’s baton are ones I know I will always remember, because they led me to a beautiful career in Music Education. Mrs. Franzke’s impact on me as a young musician is one I will carry with me and hope to pass on to other young musicians. Nominated by: Carmen. Stacey is the most genuine instructor I’ve ever been under, with such a strong passion for influence and music that could inspire even the most disconnected of students. Nominated by: Matthew. A truly amazing human being that goes beyond the music in the band room and tries to connect with everyone in the ensemble on a deep emotional level in order to bring out the best in each person. Although there are always members of the band who are not fully invested in the music we play she always puts forth her best effort in order to change people’s perspectives on music and try to allow people to gain more from being in band than just playing an instrument. Her ability to allow me and many others grow not only as musicians but as people made a true impact on my life. Nominated by: Austin. She is a wonderful teacher who I have had the pleasure of working with. Nominated by: Jackie. Franzke is the bet teacher I’ve ever had. I learn something new and profound every day not only about music but about my life. I wouldn’t be the musician or person I am today without her continuous love support and passion! Nominated by: Emily. Mrs. Franzke is the most gracious person I know. Her amoration for music gets trickled down to every member in her bands. I am awed by her ability to pass on her love for music to musicians of all levels of dedication. She is trusting. She is genuine. She is empowering! She makes me want to be the best version of myself and always put forward the best level of musicianship I can. 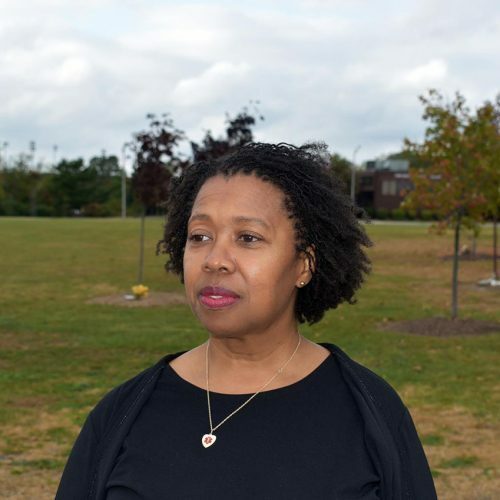 Her dedication to her students not only musically, but personally, has helped so many students find their paths, even if their path is not music. Mrs. Franzke creates a therapeutic environment in her band room that accepts and challenges all. She is a gift to our school!!! Nominated by: Cristina. Not only does Mrs. Franzke excel in music education, she is also unparalleled in her sense of empathy. Even within her busy job she will find the time to notice minute details in her students that often go amiss. When she detects something wrong, she will not hesitate to ask that student if everything is alright or give him/her a hug. With daily mindfulness and a class that never goes without eye-tearing/stomach-hurting laughter, Mrs. Franzke teaches us to be better musicians and people. Nominated by: Kristen. Mrs. Franzke is easily one of the best music teachers you could ever have. She has cracked the code for teaching music theory and she has found a way for each student to comprehend the material while simultaneously having the most fun you could ever have in class! She is also an amazing band director who pushes students to always strive for their best. Mrs. Franzke is an incredibly funny, kind, and intelligent person that everyone looks up to. Nominated by: Hannah. I speak for everyone of her students when I say that Mrs. Franzke has had such a profound impact on all of us. She is not only an incredible educator and musician but a true friend to each and everyone of her students, which is just one reason why we all learn so much from her and are able to make such great music with her. Nominated by: Matthew. Ms Franzke is not only the best teacher but she is a great person. She teaches with her own personality, making it fun however extremely understandable because the students can relate to what she says. She offers help to students to make sure they fully understand the material and forms bonds and friendships with the students so they understand her as well. I believe that is the best form of teaching. Nominated by: Kaitlyn. Her personality has made the music department such a better place to be in. I’m very grateful that I have had the pleasure to know such a great person in my life. Nominated by: Ryan. Mrs. Franzke is an inspiration to me and she encourages me to become a better musician every single day. I have looked up to her for so long because I would come to watch her bands perform. It’s so unreal to me that I finally got the chance to be her student this year. Her rehearsals are intense but she makes sure that every little part of the piece is perfect. Sometimes during rehearsal she tells us a funny story, but then shes like “Okay back to measure 110!” We rehearse each piece thoroughly until is is ready to be performed. Additionally, she genuinely cares about her students. Mrs. Franzke loves all of us and she has a special connection with everyone. I think all of us, as her students, can agree that she changed our lives for the better. I have never seen anyone so passionate about their job and love for music. Mrs. Franzke runs the 10th grade band, 11/12 grade band, the wind ensemble, and the pit orchestra for the musical this year. During the day she also teaches AP music theory, and IB theory 1 and 2. She does a lot for the Commack music community. I can’t wait for the years to come because she is my teacher. Mrs. Franzke definitely makes Commack High School an amazing place for music education. I am so thankful to her and I am so lucky to be her student. Nominated by: Defne. Ms. Franzke is able to create an environment for her band class that is stress-free and fun, which is a great contrast to the rest of a normal day. She is both funny and also very serious about music and her passion for it shines through in her teaching style. I enjoy all the time I spend in her band class and her other ensembles because she finds a way to challenge me, yet also support me at the same time. I am very grateful to have her as a teacher. Nominated by: Ethan. I have always said and will continue to say that the music department in our school is insanely lucky and spoiled to have Mrs. Franzke. Anyone who spends any time in her class will leave a better person. She is so approachable, and she offers the kind of hospitality and understanding that so many teachers lack. She is one of the only people I know who can tell what you’re thinking about, what kind of day you had, and what you ate for breakfast just by looking at you. Simply put, I’m a more understanding and knowledgeable person having known her, and I can’t thank her enough for that. Nominated by: Dylan. Mrs Franzke is one of the most intelligent, wise, and noble people I have ever met, and music is the perfect outlet for such qualities, which is why she excels both as a musician and an educator. She has a way of making music appeal to everyone, and has a habit of often telling us the background of each piece so we can be emotionally available and sound in the various aspects of music we must perform; she brings out the best of her students. Nominated by: Nicholas. Mrs. Franzke is the first music teacher who I have ever truly related to and felt extremely comfortable near. She’s hilarious and makes learning difficult things very fun and interactive and she makes me feel safe in her classroom. Even on my worst days she makes me smile and cheers me up. Though I’ve only had her for half a year, I can’t wait for the next two and a half years with her. Nominated by: Anna. She inspires me to be the best person I am and she encourages me to keep pushing myself to be a better musician. I have learned so much from Franzke. Nominated by: Nick. I had the pleasure of working with Mrs. Stacey Franzke in which she guided me in my knowledge of music. She led the way for students to discover the wonders of music. As I continue to study music as my career, I have Mrs. Franzke to thank. Nominated by: Andrew. She’s the best teacher I’ve ever had. She helped me find the music inside of me and always makes me feel like I can do anything. Everyday she makes us laugh and feel special about who we are as musicians and people. The most amazing teacher in the universe!  Nominated by: Nicholas. Stacey Franzke is a band director at Commack High School, she has influenced countless of students and have changed all of their lives for the better. Franzke is the person I aspire to be in the future, because of her I am continuing my music career with the hopes of becoming a band director in the future. She will drop anything and everything to help her students through tough times. Despite anything that she has going on in her personal life, her students always come first. I have never seen someone so selfless and caring and loving towards others. Stacey Franzke makes everyone feel valued and special. I feel like I speak for everyone when I say that Stacey Franzke is the most amazing person in our lives. Nominated by: Alyssa. Mr. Paltrowitz, or Pal as the POBJFKHS music department refers to him as, knows what he is doing. 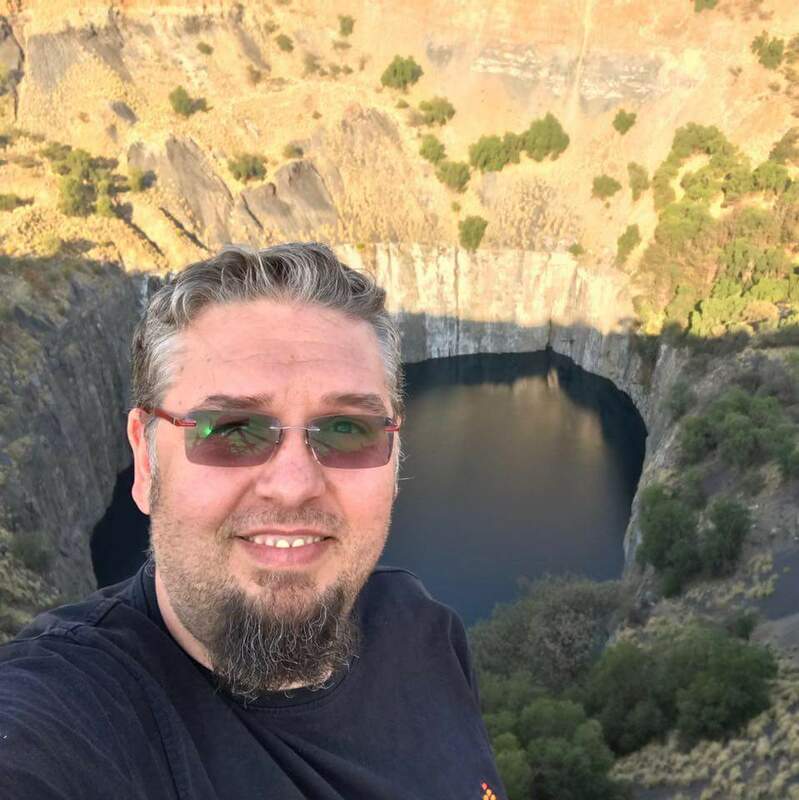 For nineteen years he has been developing a very strong and intelligent choral program within the school based on tradition, leadership, and dedication. I have never seen anything else like it in any other program. In addition to the teacher run choir program, he advises 8 student run A Cappella groups, where all the music is arranged, taught, and performed in two concerts all by students. As the leader of one of these mentioned groups, I credit all my skills in arranging, music making and performing to him. Mr. Paltrowitz even creates articles about his specific systems which can be found on Choral clarity, along with original compositions. 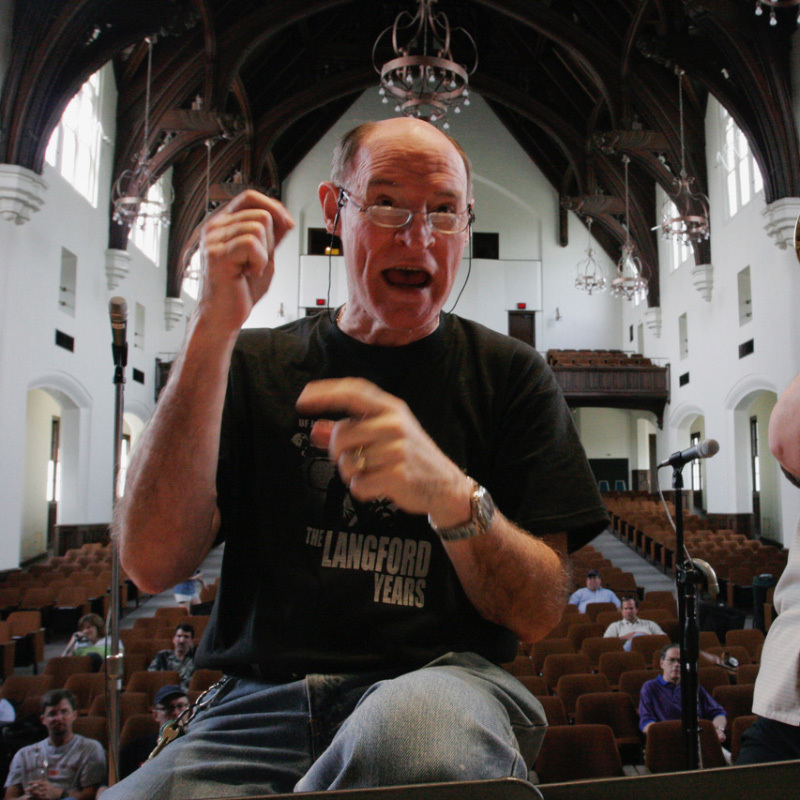 He is truly a pioneer in the choral education world and no other teacher can compare to Adam Paltrowitz. Dr. Hugo, of Liberty University in Lynchburg, Virginia, introduced me to choral music and music history in a way that I had never experienced before. His love for the choral art and his willingness to share life advice both inside and outside the classroom is unmatched. He genuinely cares about his students and does everything to ensure we are well prepared for performances. His sarcasm and his quick wit made his music history courses one of my favourites during my undergrad. He made sure his learning environment was welcoming, while also pushing his students to produce the best they could – even when we felt we had nothing greater to give. It is for all these reasons that I believe Dr. Hugo should be honoured in this way. 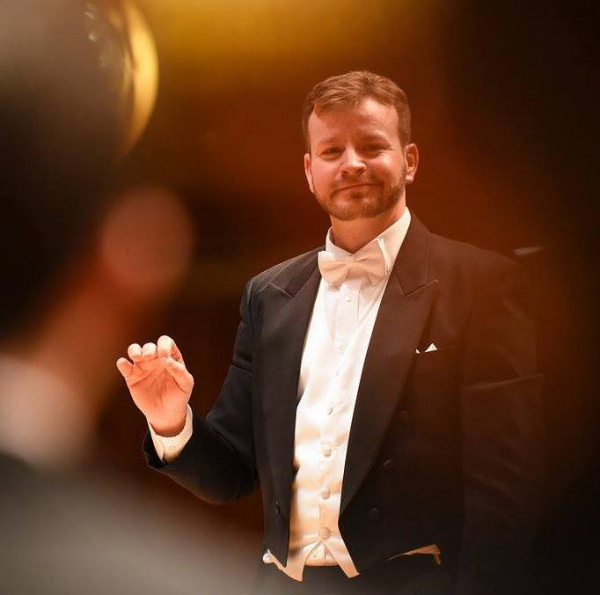 After having changed the lives of so many high school students through his incredible choral and band programs, Dr. Willingham continues his musical inspirations at the university level and helps to bring aspiring young singers and conductors and educators to their own high levels of potential. Dr. Willingham was my high school music teacher who brought out the best in me in so many musical facets and encouraged any and all of my musical endeavours. I had the privilege of then continuing to sing with him at a community level where he brought together all levels of singers to sing, travel, record and enjoy the beauty and comradery of choral singing. Thank you, Lee, for everything you have given to all of the singers, students, conductors and educators whose lives you have touched.